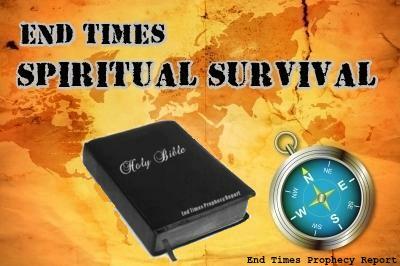 LIST of END TIMES SURVIVAL and END TIMES PREPARATION articles on End Times Prophecy Report. 5-24-2015 Do You Know if You are Going to Heaven? 4-17-2014 Fear: What does the Bible Say about Conquering Fear? 5-10-2015 PREPARING FOR THE END TIMES: What Did Jesus Command? 5-19-2015 Underground Bunkers in the End Times: Will they Work? 6-10-2015 BEWARE: Deception in the Churches! 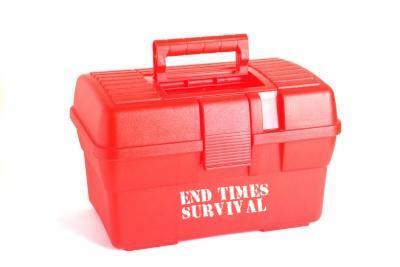 DON’T BE SCARED, BE PREPARED: End Times preparation is different from physical preparation. 6-14-2015 Religious Leaders, Religious Systems, Churches: What does the Bible Say? 6-19-2015 God’s Promise to Believers: O Death, Where is Thy Sting? 10-10-2015 Should Christians Pick Up Weapons in the End Times? 1-20-2016 TRIBULATION: What is Tribulation? 1-22-2016 Can Anyone Physically Prepare for the End Times? List compiled by: Mondo Frazier et al.